Planning on buying a home in Northwest Ohio or Southeast Michigan? 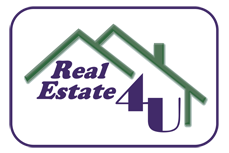 Let the pros at Real Estate 4U help you find the home of your dreams! Whether you’re buying your first home or you’ve been down the home buying road before, there are a lot of steps that go into completing a real estate transaction. Our skilled and professional real estate agents are here to provide you with superior customer service and the information that you need in order to complete your home purchase. As noted, there are several steps involved when it comes to buying a home. Below, you’ll find useful information to help get you start learning a little bit about the process. As always, if you have any questions or you’re ready to start looking for your home, give us a call so that we can assist you. The thought of buying a home may seem overwhelming at first. Where do you want to live? How big of a house do you need? These are just a couple of the common questions that future homeowners ask themselves when they make the decision to buy a home. You may have several requirements for what’s included in your home or you might just have a couple key points that you’re looking for in a property. Either way, the professional agents at Real Estate 4U will assist you in finding the right home for you. •	Do you need a large yard for pets? •	How far are you willing to commute to work? •	Are you looking for a house to fix up or do you want a maintenance free newer home? Those are just a few considerations to take into account if you’re ready to buy a home. Another main consideration is price. To find out how much home you can afford, it’s a good idea to get a pre-approval from a mortgage lender. You don’t have to have all of the answers before you start looking for a home, but if you know the basics regarding what you want and need in a home, it’ll make the process go smoother and your agent at Real Estate 4U can get started with finding properties that match your requirements. MLS: MLS stands for “multi listing service” and it’s the organization which collects and then distributes information pertaining to the properties listed by its members. Members of the MLS are real estate brokers; the MLS isn’t open to the public. An MLS usually covers a regional area or a state. At this time, there is no national MLS. PITI: PITI stands for “principle, interest, taxes and insurance,” which are the 4 items that make up a monthly mortgage payment. The principle reduces the remaining balance of the mortgage; the interest is the fee the lender charges the consumer for borrowing the money, the taxes are real estate taxes and insurance includes homeowners insurance on the property. CMA: CMA stands for “comparative market analysis.” A CMA is a report that displays information pertaining to comparable properties to the home that’s being purchased. The homes on the CMA are homes that have been recently sold, are currently on the market for sale or used to be for sale. Contingency: A contingency is an agreement that prevents the real estate agreement from being legally binding unless certain conditions are met. For example, a buyer can request that the home they want to purchase goes through an inspection before they buy the home. Title Insurance: A title insurance policy protects the lender in real property against fraudulent, unknown or unexpected claims of ownership. It’s typical that the buyer pays for the lender’s title insurance. What is title insurance and why is it needed? Title insurance is purchased and put in place to protect the mortgage lender from claims of ownership by another person. The title for a property is used as evidence to show that the person has a right to possess the property. First, a title search is performed on the property. If any ownership issues are found during the title search, those issues often have to be worked out and cleared before the sale of the property can take place. If no issues are found during the title search, the title insurance policy is put into place in the event that someone later makes a claim to the property and the claim was not uncovered during the title search. Keep in mind, that a title insurance policy only protects the lender; it does not protect the person who purchased the home. Homeowners, if they want to be protected against claims of ownership against the property must purchase their own policy to cover loss in the event that a claim is ever made. 1.	Financing: Make sure that final arrangements are in place for financing. This includes, but is not limited to: providing your lender with documentation and getting the final loan approval amount. 2. Title Insurance: Complete all arrangements required to obtain title insurance. 3. Moving Arrangements: Make your moving arrangements. Make sure that your moving date is set with your moving company or truck rental company. 4. Property Insurance: Obtain property insurance for your home. This includes both real property and personal property. 5. Contingencies: Follow up to ensure that any contingencies were being met or are being met. For example, make sure that agreed upon repairs were made or are currently being made. 6. Utilities: Schedule to have your utilities shut off in your current residence and turned on in your new home. 7. Change of Address: Change your address with the post office. You can list an effective date so that mail starts coming to your new address on the date that you specify. 8. Final Walk Through: Schedule and complete a final walk through of the property. During the walk through, you’ll want to make sure that any repairs are done and you’ll also want to gather any warranty or homeowner’s association paperwork and information during this time. 9. Closing Papers: Take a few minutes to review all of the closing documents. Check for accuracy and if you find any mistakes, make sure that they are corrected. 10. At the Closing: Confirm how you are going to pay the down-payment and closing costs. It’s also important to bring required ID to the closing. At the closing, you’ll receive the keys to your new property, any garage door openers and alarm codes. 1. Make arrangements with your moving company or truck rental company as soon as possible. 2. Make sure to fill out your change of address information with the post office a month before you move. 3. Tell your children about the move in advance. This will give them time to adjust to the thought of moving. 4. Notify your doctor, dentist, insurance company and other important people of your move. If you need to get prescriptions filled, do so before the move so that you don’t run out of important medications. 5. Call the utility companies to get your utilities shut off at your current address and turned on at your new address. 6. Update information with your bank or transfer accounts to a new financial institution. 7. Make sure to keep track of your personal property by making a list. By doing so, you have an accurate account of your belongings in the event that you need to file an insurance claim. 8. Secure jewelry and valuables and make arrangements to take them with you. 9. Empty the fluids in yard equipment before transporting them and dispose of any flammable materials or chemicals. 10. Make arrangements to transport your pets if they will not be riding in a car with you. If you are taking your pets by car, make sure to have the proper carriers and cleaning supplies. 11. If you’re moving plants with you, make sure to take the proper precautions so that they don’t get damaged. Cardboard containers make a great way to move plants. Just make sure to punch holes in the cardboard so that the plants can breathe. 12. Separate out what you’re going to need to take with you (what the movers won’t be taking or what you won’t be packing and putting on the moving truck). Common items that you’ll want to leave out include: Clothing you’ll be wearing, personal care items, medications, etc. 13. Empty and clean out the refrigerator. It’s also helpful to put a box of baking soda in it so that it will keep it smelling clean. Buying a home often involved obtaining a mortgage to pay for your home purchase or for a portion of the purchase. Did you know that you can start the mortgage process even if you haven’t found the home that you want to buy yet? If you’re ready to buy a home, you can start the mortgage process before you start looking for the home and doing so usually provides valuable information to potential buyers. By starting the mortgage process first, potential home buyers can often find out how much of a loan they can be approved for. Keep in mind, that pre-approvals are only estimates and the pre-approval amount can change with your circumstances, but by obtaining a pre-approval, you have a number to go by. Getting pre-approved isn’t required if you want to start looking at homes, but they are helpful in assisting buyers with price range and other considerations. The mortgage is the most complex and time consuming aspect of buying a home but Real Estate 4U will be there to assist you and answer your questions throughout the process.